Apple's iPhone is incredibly easy to use. So much so that its operation is indistinguishable from magic. Starting with extremely sophisticated silicon and working its way up through layers of abstraction, encryption technology and security and privacy measures in iOS, it is so sophisticated that few outside Apple understand its working principles. That's turning into a big problem for governments. The silliest thing I've seen yet is the claim by the San Bernardino District Attorney that the Syed Farook iPhone, at the center of the Apple vs. FBI dispute, may contain a "dormant cyber pathogen." As I understand it, this phone was owned by the San Berdardino Health Department, and so it's very unlikely that the terrorist would use that phone for something incriminating, let alone a science fiction fantasy conjured up by the DA. Recall that the couple destroyed their personal phones. That says something about how they probably used their government issued iPhones. It sounds like he’s making up these terms as he goes. We've never used these terms [cyber pathogen] in computer science....Do they have any evidence whatsoever to show there is any kind of cyber pathogen on the network or any logs or network captures to show that Farook's phone tried to introduce some unauthorized code into the system? The level of hysteria being raised for uninformed political purpose that would, in the end, destroy the privacy and security of hundreds of millions of iPhone users is alarming. 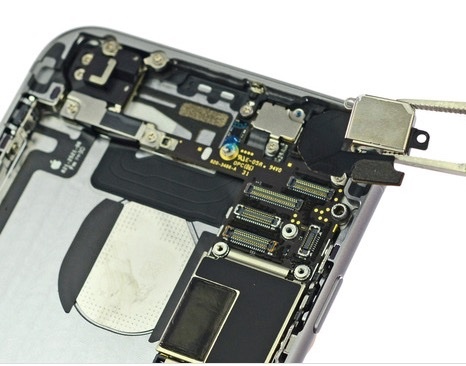 Apple has made incredibly complex technology, with layers and layers of sophistication, from the silicon on up, very usable to the average customer. 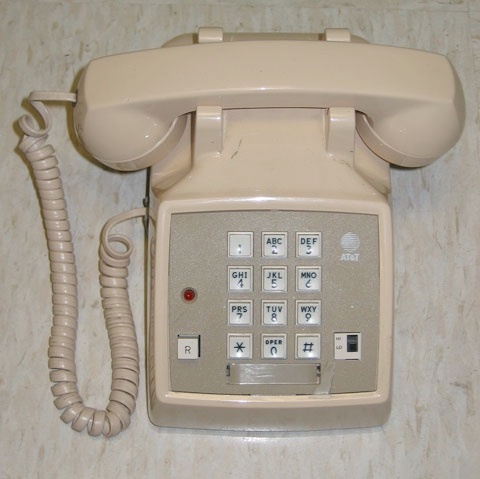 It might even be considered a defect, in some sense, that an iPhone is modeled after the classic handset above. Touch it, tap it, and make a phone call. It's that simple. Except that it isn't. And over the last decade, smartphone technology has moved so far forward, few politicians and government officials have taken the time to learn the underlying technology to the point where they can make informed decisions. The crazy, cooked-up fantasy of a so-called cyber pathogen mentioned above is one example of that ignorance. The current national discussion, is just in time and very, very helpful. It's just too bad that there are some who still haven't taken the time to inform themselves. In the current political climate, even the most obvious technical facts are seen as self-serving agenda by the evil opposition. That's a dangerous way to run a technologically advanced country. Next: The Tech News Debris for the Week of February 29th. Robots butchering meat? It's an intriguing technical challenge: train robots to butcher meat. But it can be done. I found this fascinating: "Would you buy meat from a robot butcher?" As I"ve said before, get ready. Any job that can be done by a robot, will be done by a robot. What are your own uniquely human skills for 2020 and beyond? One of my favorite writers is Kirk McElhearn. He's an iTunes expert, and so who better to write: "How to Set Up Minimal iTunes for Music Only." I"m doing that right after I"m done here on my secondary Mac. There's been some vigorous discussion lately on the App Store's developer ecology, health and well being. But one thing is certain. Swift, as a programming language, is coming on strong, especially with Swift 3 coming out at WWDC in June. So here's an update: "Want a developer job? Time to learn Apple's Swift as demand skyrockets." Don't underestimate this important language in your own career. Are Apple customers wilting under the constant onslaught of technological advances? I've seen some evidence that this is the case. And I know for a fact that many OS X developers struggle to keep their apps current for each new version of OS X. Do we need a new version of OS X every 12 months? The PC wars are over, and Apple no longer needs to struggle mightily against Windows with dramatic advances in OS X. This technological ennui may be manifesting itself in the adoption rate of iPads, and now, OS X El Capitan. See: "Mac owners in no rush to adopt OS X El Capitan." Eighteen to 24 months between OS X releases, with regular security updates, would suit me fine. How about you? Finally, while this isn't news debris, it is awfully cool. The awesome Jonny Evans at Computerworld offers "6 Dock Terminal tweaks Mac users need." The level of UNIX geekdom and coolness here is hard to beat. Thanks Jonny. Particle Debris is a generally a mix of John Martellaro's observations and opinions about a standout event or article of the week (preamble on page one) followed by a discussion of articles that didn't make the TMO headlines, the technical news debris. The column is published most every Friday except for holidays.